"One big family...one big family of killing machines." Divorce is never an easy topic to discuss, but it affects a rather large number of families throughout the world. The reasons for a divorce can be many and it's all too common for one partner to devote themselves entirely to something else at the expense of the marriage. 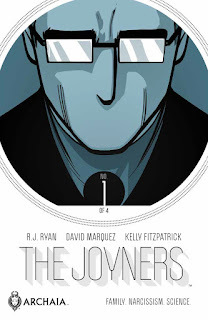 The Joyners #1 from BOOM! Studios is about one such family. The issue is written by R.J. Ryan, illustrated by David Marquez, colored by Kelly Fitzpatrick and lettered by Jon Adams. In mid-21st-century Northern California, prosperous technology executive George Joyner stands on the brink of revolutionizing life in America (again) with his latest high-flying invention. But just as business booms, George’s private life begins to implode, with devastating consequences for his wife Sonya, their children Rochester and Michelle, and Sonya’s ailing father, David. There's a palpable sense of despair in The Joyners #1 that pervades all the interactions among the characters. Ryan's script is very biting in an emotional way, offering George Joyner as a man who is wildly successful in one aspect of his life, yet something of a failure in the other parts. It's a very common occurrence nowadays and Ryan's dialogue captures that sentiment exceptionally well. And George is definitely the main character throughout the book as Ryan uses his viewpoint to carry the narrative. Ryan definitely focused on the interplay in The Joyners #1 and it's that interplay that really propels the narrative to great heights. The artwork in The Joyners #1 is extremely crisp and concise. Marquez infuses characters with exaggerated facial expressions that effectively convey the emotion throughout the book. It's that simplicity that makes the book feel more futuristic than it has any right to be and Marquez successfully marries a modern sensibility to looks that are slightly advanced. It's almost like the look that The Jetsons favored for so many years with Marquez focusing on the relatively sleek appearances to convey a pioneering future. The colors are also relatively simple as XXXXXX provides an elegant touch to the artwork. 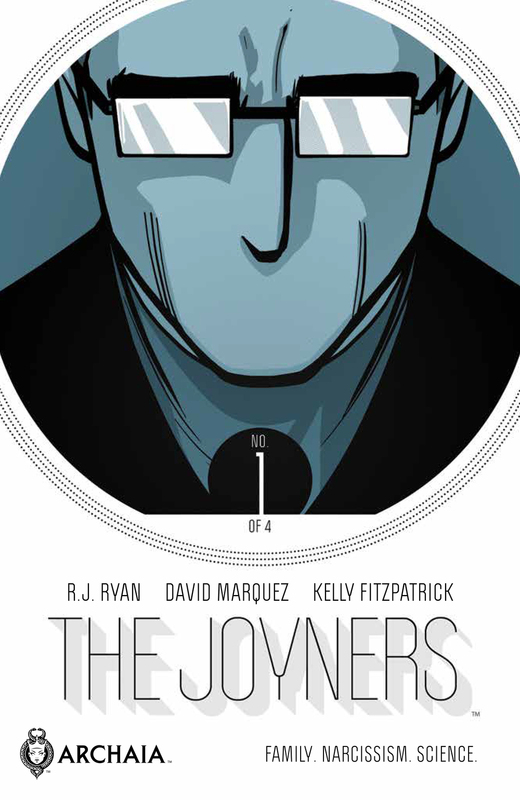 The Joyners #1 is a fantastic book that is really about the family dynamic, but pitched under the guise of being on the cutting-edge of technology. George Joyner is a brilliant individual who can't see the forest for the trees and it will cost him dearly. Ryan's script is very methodical and offers a deliberate pacing that allows things to unfold without rush. The artwork by Marquez is very crisp and refined, lending the book a certain sophistication. The Joyners #1 is a strong first issue that sets both George Joyner and the reader up for an emotional gut-punch as things get worse for the former. The Joyners #1 is in stores now.